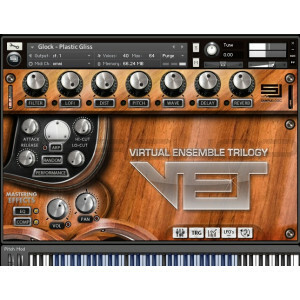 VET contains a powerful collection of meticulously sampled traditional acoustic instruments selected from Sample Logic’s award-winning products RUMBLE, FANFARE, and IMPAKT. VET features recordings of the World Champion Blue Devils drum & bugle corps hornline (brass), drumline (battery, and front ensemble (concert & world percussion) with contributions by arrangers Scott Johnson, John Meehan, and Jim Wunderlich, recorded by Leslie Ann Jones on the Scoring Stage at Skywalker Sound (a Lucasfilm Ltd. Company). 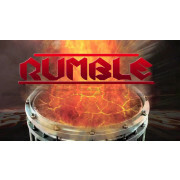 This massive 24GB collection of more than 300 traditional Instruments & Multis contains a variety of instruments that include solo and ensemble marching snares, multi-tenors, basses, mallet & world percussion, trumpets, mellopones, euphoniums, and tubas. VET is the ideal solution for educators, arrangers, performers, and composers who want to realize accurate, dynamic musical productions and arrangements, bringing the authentic real-life brass and percussion instruments to both notation and any digital audio workstation software. VET loads directly into the Native Instruments Kontakt 5 Player and seamlessly integrates into Finale, Notion, and Sibelius. Recorded with multiple round-robins, multiple dynamic levels, and at three microphone distances. 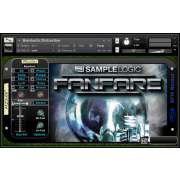 A complete collection of traditional front ensemble nutriments selected from Sample Logic's IMPAKT library. World Percussion--Bongos, Cajon, Wood Block, Conguitas, Cow Bell, Water Triangle, Wind Chimes, Hands, Guiro, Tambourine, etc. Recorded with multiple round robins, multiple dynamics, and at three microphone distances. VET has been spefically programmed, mixed, and balanced for amazing realistic playback in Finale, Sibelius, and Notion. Organized menu system for efficient instrument loading and switching within notation software. Includes customized playback definitions, articulations, and templates that have been tailor-made for Finale and Sibelius. Every instrument is calibrated for dynamic performance via velocity, resulting in optimal notation playback. CC7 is specifically mapped to control instrument volume. CC10 is specifically mapped to control instrument panning. CC11 is specifically mapped to control instrument volume and EQ for crescendos/decrescendos. Marching drums include streamlined all-in-one instruments with hits and rolls. Includes a dedicated trumpet section with lead and a dedicated solo vibrato trumpet. Includes dedicated marcato instruments for brass sections. VIRTUAL ENSEMBLE TRILOGY’s spectacular user interface was designed with the composer and arranger in mind, providing effortless control for complete customization that goes beyond the standard notation software virtual instrument interface. The core of VIRTUAL ENSEMBLE TRILOGY is focused around the user experience, providing the freedom to infinitely mix, manipulate, and even transform samples into awesome twisted evolving instruments. ** – Space is available only on Front Ensemble patches, Spinner is available only on Battery and Brass patches.